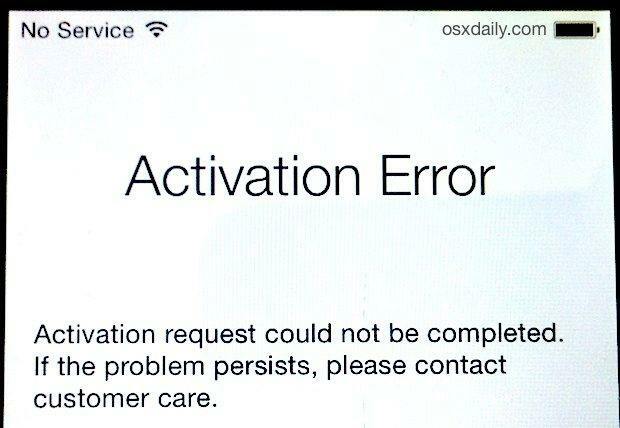 "I was trying to set up my iPhone after the iOS 12 update but suddenly I was faced with an error message, stating "Could not activate iPhone", how do I fix this?" Apparently, some people are having the similar problem, mainly with the new iPhone X/XR/Xs. So, basically, we are saying that if you are having this iOS 12.1/12 activation problem then you are not the only one. Unfortunately, the problem is not isolated to iPhone X and there is actually more than one reason why this happens. They are listed and discussed below. Why You Can't Activate iPhone after iOS 12 Update? There are lots of reasons why you may need an iOS 12 bypass activation lock. Many users have faced this certain problem and these are the reasons that are causing it. It is possible that the iPhone you are using is still connected to someone else's iCloud account with an activation lock. Maybe particularly your carrier is having some issues. In the United States, most of the iPhone X activation issues were related to carriers like AT & T and Verizon. A specific server was assigned for this activation purpose only; it is called the activation server. 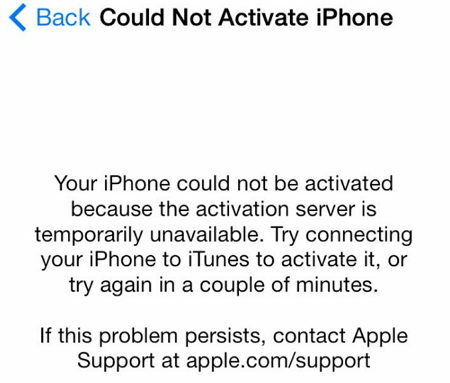 It is possible that the server is unavailable at the moment as lots of users are trying to activate the new iOS 12. So, you might be experiencing high traffic. The SIM Card that you have inserted in the device is not working. It is very much possible that Apple servers are busy at the moment, mainly because the new iOS 12 just released and people from all over the world are doing their best to get it. So, you can simply check the status of the activation server of the company or just try again later. Step 1: Remove the SIM card from the slot and insert it again but this time do it properly. Step 2: Now, set up your iPhone again. If you could not activate iPhone after the iOS 12 then making a Hard Reset might fix the problem. Making a Hard Reset actually means that you have to Force Restart the device hoping that once it starts again, the problem will be solved. 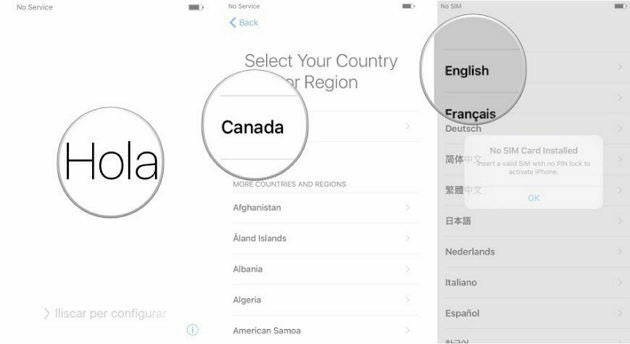 Apple designed a specific sequence for this particular purpose but it varies for different iPhone models. Step 1: Quick tap Volume Up and the Volume Down button. Step 2: After that press and hold the Power button. Step 3: Keep holding the button until you see the Apple Logo on the screen. Step 1: Press and hold the Power button along with the Volume Down button. Step 2: Keep holding them until you see the Apple Logo on the screen. Step 2: Keep holding them until the Apple Logo is visible to you. These are the Force Restart Sequence for a different model of iPhones, read the sequences carefully to restart the device. If you can't activate iPhone after iOS 12 update then you must check the Wi-Fi network. You need to make sure that your device is not blocking gs.apple.com. If it is actually blocking then it would be impossible for you to activate your iPhone. So, you need to connect to a different Wi-Fi network, the one you are using now would not work and make sure that it is a stable and reliable network. Then, once you are inside you can change some settings to fix the problem. You can check Wi-Fi by going to Settings and then Wi-Fi on your iPhone. If you are looking for iOS 12 activation lock removal then you can easily do it by using Find My iPhone feature or by going to the Apple Store. The basic purpose of Activation Lock is to keep the data of your iPhone from falling into the wrong hands. It is basically a shield that protects your device and data if it is stolen. If it is a second hand iPhone, you will have to put in the previous owner's Apple ID and password, or ask that particular owner to log in to Find My iPhone and remove the lock from their own iCloud account. Alternatively, you can visit the nearest Apple Store and provide the proof of ownership. If it is confirmed, they will remove the Activation Lock for you. Step 1: You have to start by rebooting your device. Step 2: Then you have to connect the device to your computer where iTunes is already installed. Step 3: Run the app and on the iTunes window you need to click on "Activate your iPhone". Step 4: You will be asked for your Apple ID and password, provide them and click on "Continue" to activate the iPhone. As stated before, you are not the only one suffering from this particular problem, this has happened to a lot of people. We have told you the probable reasons behind it and the ways to fix the issue. 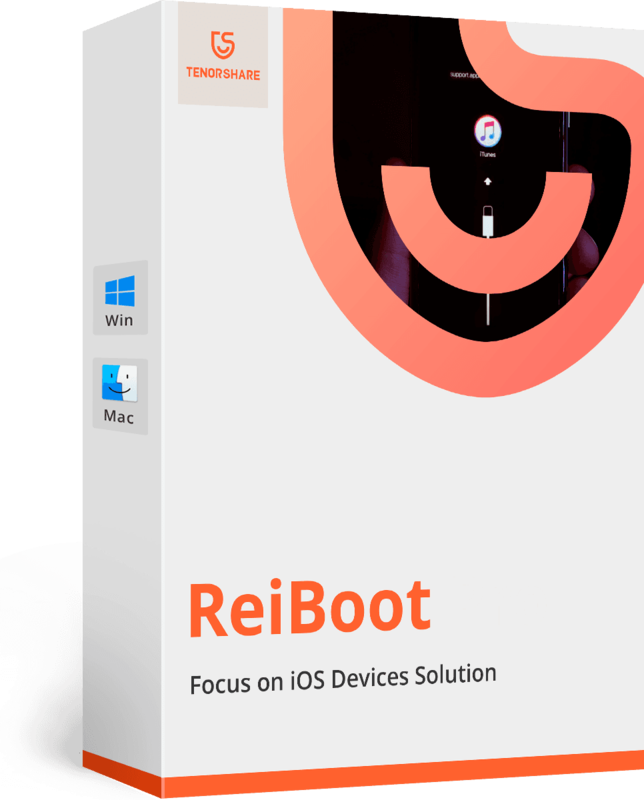 You can also try to fix the iOS itself using an iOS system repair software like Tenorshare ReiBoot.